United States service members across the country are often dealt a difficult hand when it comes to the quality of education for their children. Given the frequency of moves made by military families — they relocate an average of six to nine times throughout a child’s K-12 career, two to three times as often as their non-military peers — it’s important to ensure that they have continuity in education quality and academic goals that set up their children for success. Increased mobility comes with a unique set of problems. In some instances, the education standards in local communities surrounding military facilities are not consistently high. And standards between states are often not aligned. As a result, the education of military children can suffer, with students disadvantaged by being either ahead of or behind their peers. 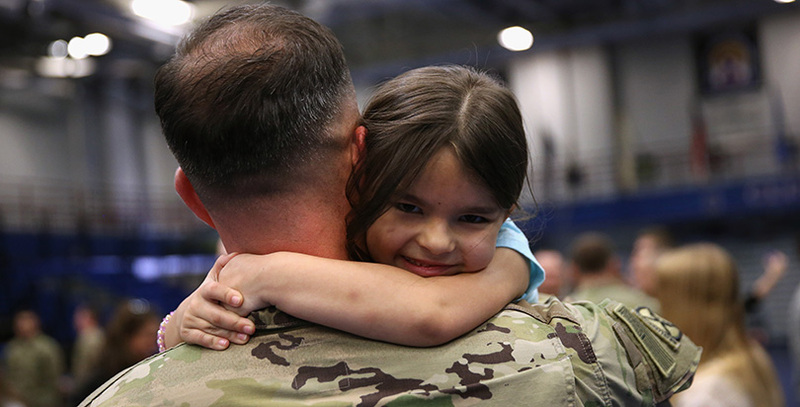 That’s why military families around the country have responded with a new nationwide effort pushing for consistent and comparable education standards for children of all ages, for pre-K and K-12 students. Military Families for High Standards brings together the spouses and family members of active duty, reserve, National Guard and former service members. The group informs policymakers about why military-connected kids are particularly vulnerable to standards that are inconsistent and not comparable from base community to base community. Because the vast majority of military-connected kids are educated in local public school systems, the focus of Military Families for High Standards is working for rigorous standards at local schools and local early-childhood education programs. The ultimate goal is to make certain that military kids don’t fall through the cracks and that they become adequately prepared for successive grades and then higher education and careers. As an early-childhood educator for 20-plus years, a military spouse and a mother, I witnessed firsthand the challenge that military families have ensuring consistently challenging schooling for their youngest children. I experienced the disparity in quality of early education from one school district to another. Our daughter was in kindergarten when we made a move and she began attending a classroom that was not providing quality early education. I spent many hours helping in the classroom, working with the school and tutoring at home to make certain that she had a valuable year of learning. Like many military families, we did not have other options. I became keenly aware that I would be working on this issue the remainder of the time our children were moving and entering different school districts. For military families, the inconsistency of standards for early education and K-12 means that the parents have to fill the education gaps, which adds a large dose of stress along with a major parental time commitment. Military Families for High Standards aims to help all military-connected kids, regardless of age, because high standards work for all age ranges. The National Association for the Education of Young Children and the National Association of Early Childhood Specialists in State Departments of Education both stress the importance of promoting challenging education standards — for early-childhood programs as well as later schooling. When a military family pulls up stakes and moves to Offutt Air Force Base in Nebraska from another facility in another time zone, the parents shouldn’t have to roll the dice about whether their children will be set back academically. The standards should be rigorous and comparable wherever the duty station and whatever the age of the children. Terri Batschelet is a longtime educator who has worked in variety of educational capacities with preschool and kindergarten students. She and her husband, a retired Army officer, raised two children, who each attended eight different schools. Her family was most recently stationed at Offutt Air Force Base outside of Omaha.